Last time, we tried a problem that tested meaning; we also discussed how to compare entire chunks of the answer choices. Today, we’re going to combine those two things into a new skill. * “The striking differences between the semantic organization of Native American languages and that of European languages, in both grammar and vocabulary, have led scholars to think about the degree to which differences in language may be correlated with nonlinguistic differences. At first glance, the underline isn’t super long on this one, Glance down the first word of each answer. What does a split between that and those signify? Both are pronouns, so they’re referring to something else in the sentence. In addition, one is singular and one is plural, so it will be important to find the antecedent (the word to which the pronoun refers). Next, read the original sentence. What do you think? It isn’t super long but it still manages to pack in some complexity. 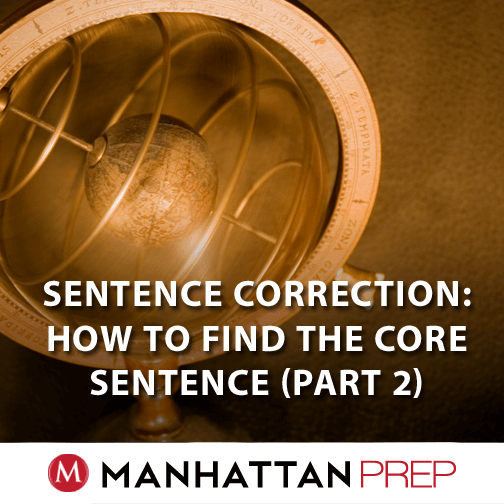 Learn how to strip it down and you’ll be prepared for even more complex sentence structures. My first thought was: okay, now I see why they offered that vs. those. Should the pronoun refer to the plural differences or to the singular organization? When is it Time to Guess on Verbal? As dedicated readers of this blog may have guessed, this is a follow up to my earlier post When is it Time to Guess on Quant? 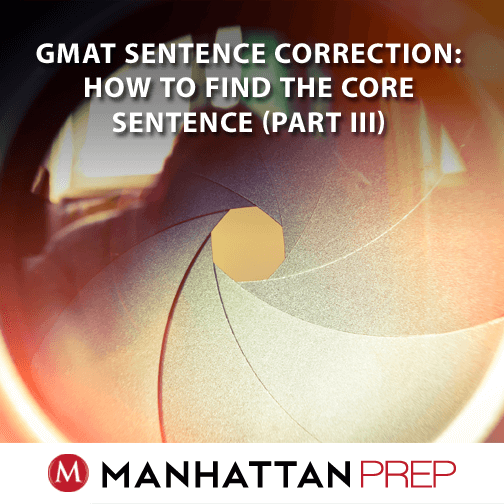 Timing troubles are not, however, exclusive to the Quant section, so in this piece I’ll talk about some common scenarios that bedevil students on the Verbal section. As with Quant, not all guesses are created equal. The earlier you decide to guess, the more likely that you will make a random guess. If, on the other hand, you’re far enough into the question that you’ve eliminated 2-3 answer choices, then you’ll be making an educated guess. 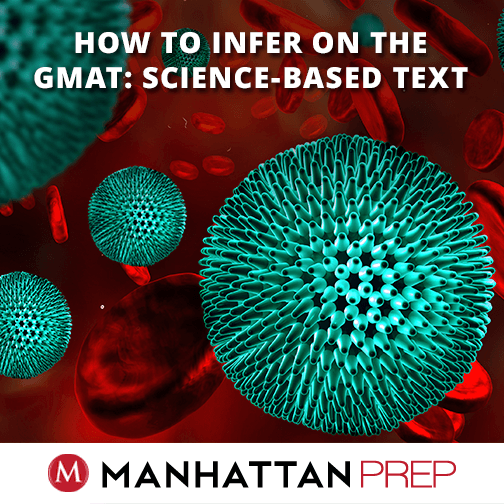 One immediate difference between guessing on Quant and Verbal is that guessing strategy is essentially identical for both Problem Solving and Data Sufficiency questions. Each of the Verbal question types, on the other hand, has less in common. That being said, there are a lot of parallels in guessing strategy among the three types. No matter the question, there are really three distinct stages at which it becomes a better idea to guess than to keep going. I’ll briefly describe each stage, then show how it connects to each of the Verbal question types. As a general rule, if you haven’t really made progress on a question after 30 seconds or so, it’s usually a good idea to just make a random guess and save your energy for a question you’re more comfortable with. Reading Comprehension Stage 1: I don’t know where in the passage to look. The great thing about Reading Comprehension (or at least its saving grace) is that the correct answer has to have support in the passage. With the vast majority of RC questions, as long as you can find and reread the relevant portion of the passage, you can find an answer choice that will match what you read. In fact, you should be able to answer to come up with your own answer to most RC questions before you even look at the answer choices. Many questions provide good clues as to where in the passage to look for the answer (seriously – a surprising amount of questions are very helpful in that regard). Things get much tougher when they don’t. So here’s your first big clue that it may be time to guess. If you’ve read the question, and you’ve skimmed through the passage looking for an answer, and you still don’t feel like you found what the question was asking about, it’s time to guess. At this point, you could guess randomly, but I would recommend taking one quick pass through the answer choices. If any choice contradicts your understanding of the passage, eliminate it. After you’ve each answer once, pick from the remaining. Sentence Correction Stage 1: I don’t understand the sentence and the underline is long. On the Verbal section, you have to answer 41 questions in 75 minutes, which is less than 2 minutes per question. 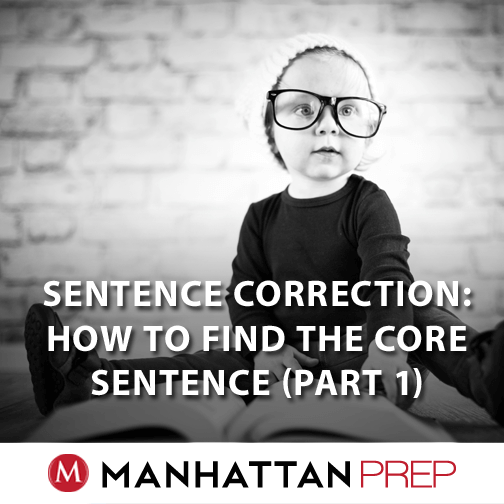 Critical Reasoning and Reading Comprehension are naturally time-consuming, so that time is going to have be saved largely on Sentence Correction. Remember that you only have an average of 1 minute and 20 seconds to answer these things. 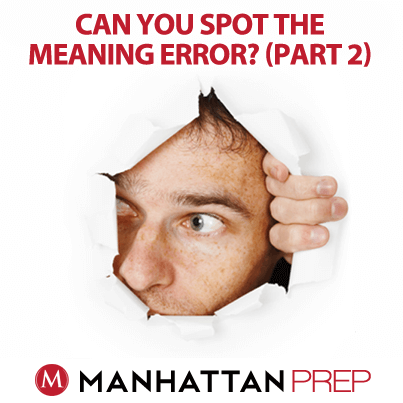 If you’re struggling to even understand what the sentence is saying, then it will almost certainly take too long to properly analyze the answer choices, especially if the underline is long. No need to fight through the pain. Just take a quick scan through the answer choices and pick one that doesn’t sound immediately wrong. Critical Reasoning Stage 1: I don’t understand what the argument is saying. To my mind, good process on Critical Reasoning questions means being in control the whole way through the process. The worst situation to be in is one in which you’re hoping that the answer choices will help you make sense of the argument. 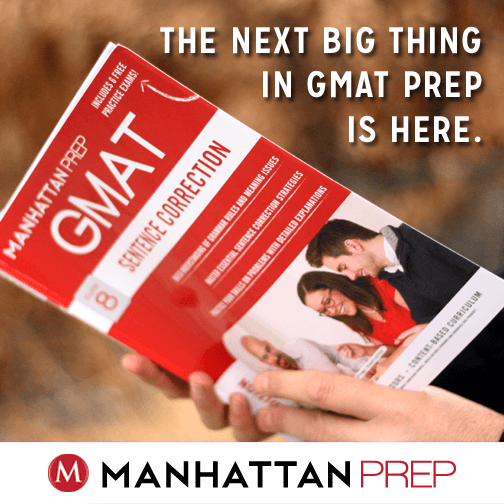 Four out of the five answer choices are actively trying to trick you, and the GMAT has gotten pretty good at tricking people over the years. 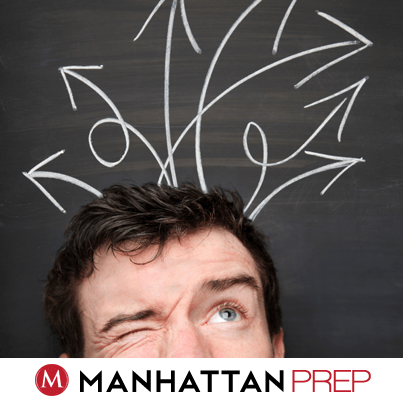 By the time you get to the answer choices, you need to understand the argument well enough to effectively evaluate each choice. Consequently, if you’ve read the argument two or three times, and still can’t articulate to yourself the link between the premises and the conclusion, you shouldn’t waste time with the answer choices.